Your home or office are the places that define you and your style, your personality. Visitors often judge your personality by the interiors of your office and home, I am sure you agree on this point. Hence, when you’re planning your home or office interior designer it is recommended to hire the best interior designer. Now, the word ‘best’ isn’t based on just the prominence factor. If an interior designer is a popular name in the industry, it doesn’t mean they are the best for you in every aspect. They must be very good at their work but ‘best’ depends on various other factors which vary from person to person. The important thing is that you must like the design when you review their work. And, as professionals say, the resume is just a piece of paper with few things written on it, the prospect must also know how to do it practically. 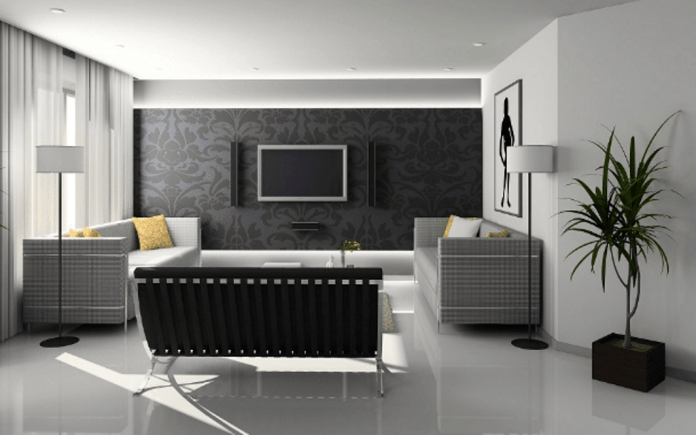 When it comes to interior designing there is more than one factor that comes into play. Here in this blog, we will talk about the ‘factors’ you should use to evaluate your interior designing prospect. Are they certified? This is like the trial test that is conducted before the actual event to get an idea if your prospect is even qualified or not. There are two kinds of labor: One is which includes physical labor and the other involves the creative skills from the brain. Creative skills are something that can only be acquired by proper professional knowledge. No one can just wake up and become an interior designer when they decide to be one, the education is a must for that. Hence, before you say, ‘yes, start the work from tomorrow’ make sure you ask, ‘are you certified?’ and don’t expect a NO if you’re hiring them. How much experienced are they? There are soldiers and there are warriors in every field and the only difference is the experience that makes this huge difference. Anyone with legitimate education and certification can become an interior designer but the best are those who were seasoned in the heat. The difference between theoretical knowledge and practical knowledge is quite tangible and no one would disagree with these. Experience will always overpower certification regardless of the no of the certificates and quality of education. So, the second question you should ask is, how much experienced are you? Creativity: ‘Creativity’ this is something that no interior designer course can teach you, this is an additional skill that only a few have. Creative interior designers have a solution to everything and they can accomplish the ‘unimaginable’ task which others fail to do. Ask your prospect for their previous interior design works and evaluate their creativity from them and then if they suit you, sign the deal. Knowledge about building requirements: Interior designing is not just about creating a beautiful interior design, a good interior designer also knows the perfect materials for the specific design. Building material not only completes the structure, they also enhance the beauty of your interior. If your designer doesn’t know about the codes and requirements, start looking for an alternate prospect. Easy to work with: Last but not the least, your designer should be a good person by nature. Professionalism is not the only thing to look for, personal behavior of the designer with their clients also matters. Mike lee, a graduate from Illinois Institute of Technology and a passionate content writer who loves to write. I started writing my content from past 1 year. Official Email id: Mikelee@5bestthings.com.